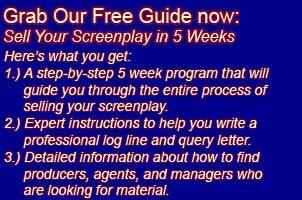 I get quite a few emails from people who are visiting Los Angeles and want to know how to get the most out of their trip in terms of advancing their screenwriting careers. I wrote a post on this very subject a little while ago, so check that out if you haven’t already read it: Taking a Trip to Los Angeles to Jump Start Your Screenwriting Career. I recently learned of a program run by Alan Denman, a writer and mentor, where he will actually help you plan and execute your trip to Los Angeles. He’s calling the program L.A. Residential. If you’re planning on visiting Los Angeles you should definitely check it out. I’ve corresponded with Alan via email and he seems like a very genuine person who’s looking to really help screenwriters.